I’m certain that most of you illusion purists are already very familiar with the Penrose triangle illusion as it has already been featured extensively on the site. 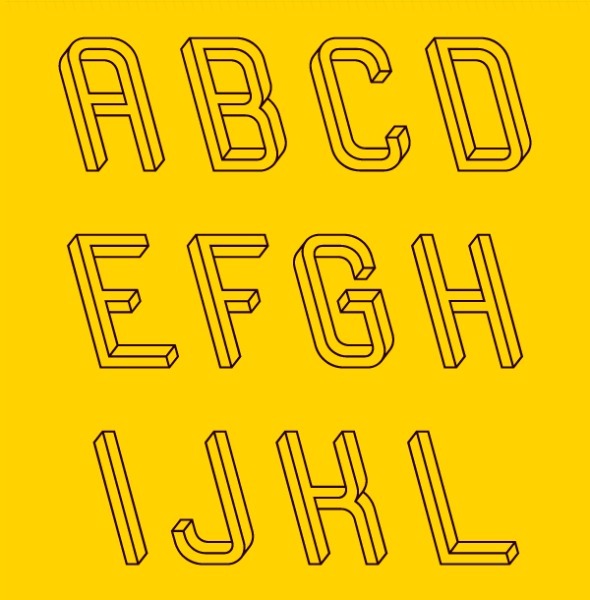 That being said, this great impossible font titled “Frustro” by its creator Martzi Hegedűs brings an entirely new angle (pardon the phun) to this classic illusion. While Hegedűs has not yet added a download option so you can actually use the font yourself, he does show how it was created and the page also shows every letter and symbol in the font so someone else could, hypothetically, turn it into a useable font. 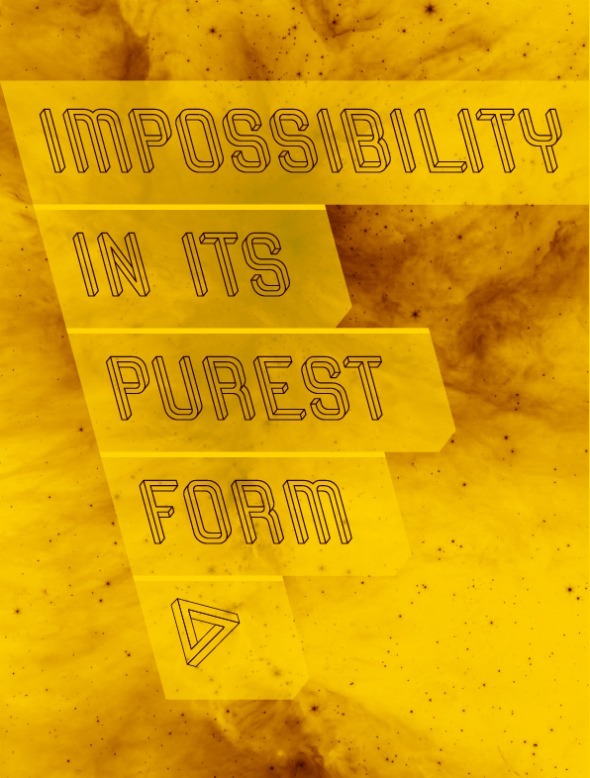 He even added an example of the font in action in what I think would be a great poster for Moillusions, complete with the impossible triangle that inspired the project. What do you guys think, if you could download this font, would you actually use it? Personally, I think it’s just impossible enough that even Escher would love to type with it, were he still around. Next Here Comes Another Headache! That is definitely cool. Still very easy to read and only closer inspection does your brain start realizing that something isn’t quite right. how was i supposed to know that something wasn’t right!!! Think about it and you’ll realise that is a snippet from a song!! I think this would make a great font! I’d use that font regularly. That’s awesome! If he ever does put together a download for it, please post it on your site so we’ll know! That’s neat. But it’s my understanding that if you use it and whoever is reading it doesn’t have it on their computer, it will be rendered in whatever font is the closest to it. 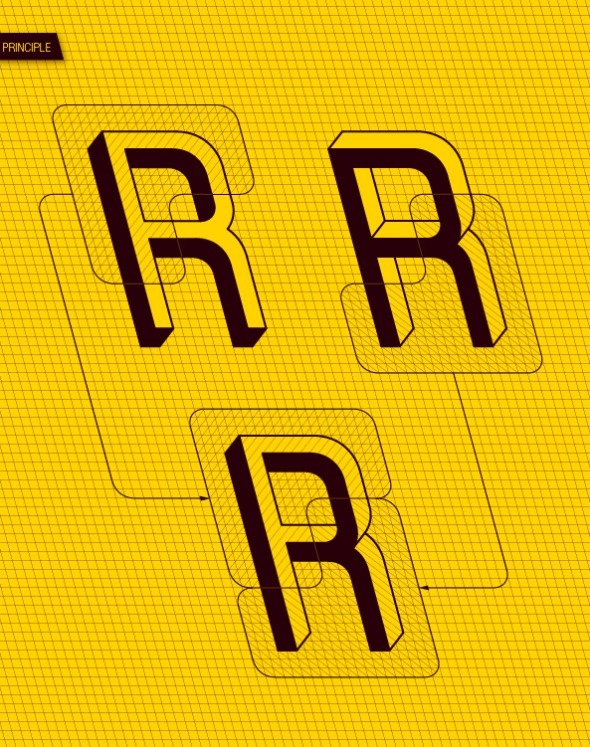 What we’re seeing here is not actually the font itself, but images (jpg). Correct me if I’m wrong. I think it’s really cool. Dang it! This is really messing with my head. I would like to write a letter like this. I would total use that font. There’s so much more to it than New Times Roman or Cosmic Sans (puke)!…..P.S. If I said it once I’ve said it a million time, I LOVE THIS SITE! and First?!?!?!? Cool, I likes that. If I could get hold of the font, I would type all kind of messages with it. For now, I will just print out the “impossibility” message and stick onto my wall.. I would definitely type with it, it is really cool! Brilliant! I would love this font to be available. I often wonder if (just maybe) life itself is an illusion too. tht is sooooooooooooooo kwl and weird at the same time!!!!!!!!!!!!!!!!!!!! I would be one of the 1st to use it if it came out. What fun! I would use it. Its great. I think it is great! I would use that font. Can you have the link for this font?? I would most definitely use this font as often as possible, I really love it! Nicely done and artfully executed. Great font. Easy to read yet trippy! I’m thinking posters/billboards.